Walking distance to train station. 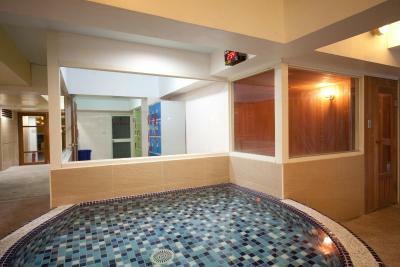 Nice spa pools in basement. Space room with a small refrigerator. 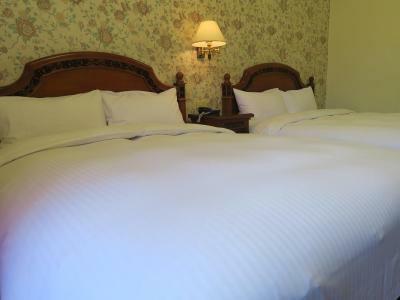 clean linen and bed. Hard bed good for older people. 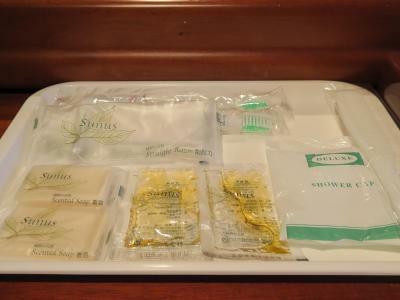 We are a couple on a budget so this place was great, it was inexpensive and the basement spa (which we had to ourselves) was such a nice surprise it made the hotel seem excellent value for money. 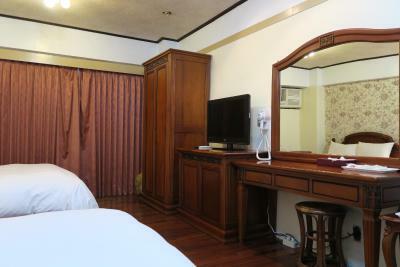 The double room was spacious and had a big tv. Reception counter person is very friendly. The comforter is very clean and comfortable. 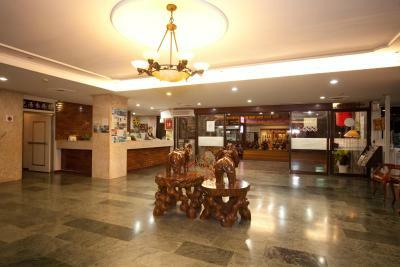 The location is really good, staff and Facilities were nice. Blanket and pillows very good as well. The hotel has hotsprings downstairs which are quite nice. The room was not luxury but definitely clean! In case you get a cheap room in this hotel, the value for money is very good! 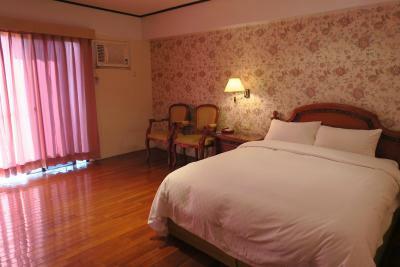 Room is spacious with classic taste. Few big indoor public hot spring pools is available (water in the pools is pumped from the actual underground hot spring source). 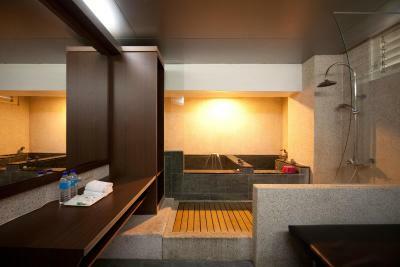 Practice good hygiene in the public hot spring, guests are only allowed to enter the hot spring pool with swimming trunk and swimming cap on. Shopping spots are just around the corner. 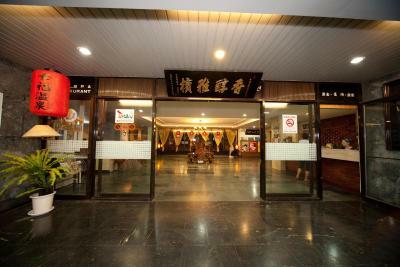 The hot spring-gold fish-foot bath is just 5 minutes away by foot. 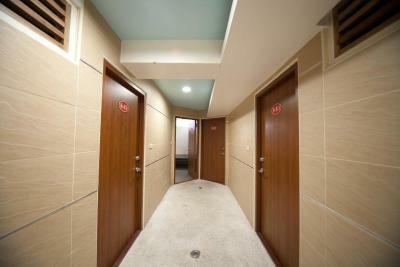 Location good easy excess within walking distance to all public facilities. The basement spa was great. 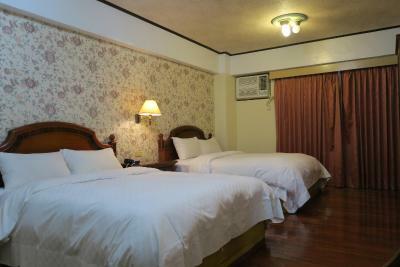 Spacious rooms, very good value and a nice location. Champagne Hotel This rating is a reflection of how the property compares to the industry standard when it comes to price, facilities and services available. It's based on a self-evaluation by the property. Use this rating to help choose your stay! 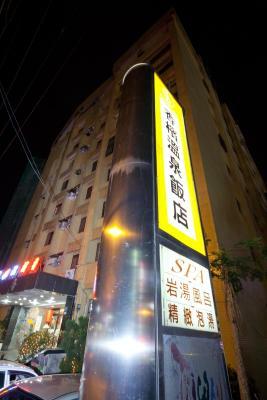 Located along Zhongxiao Road, Champagne Hotel is conveniently accessible within a 7-minute walk from Jiaosi Railway Station. 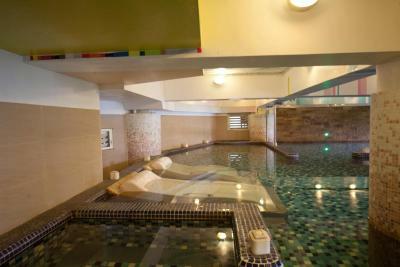 Offering free Wi-Fi access in the entire property, it features an indoor pool and sauna facility. Fitted with wooden flooring, air-conditioned rooms come with a wardrobe, fridge, a TV and seating area. 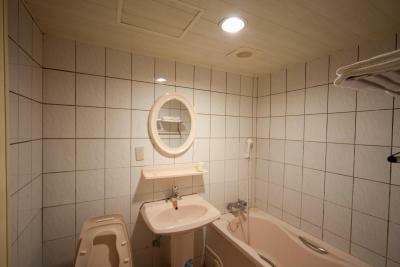 Rooms have an private bathroom that includes bathtub. At Champagne Hotel , the friendly 24-hour front desk staff can assist guests with ticketing services and other requests throughout the day. 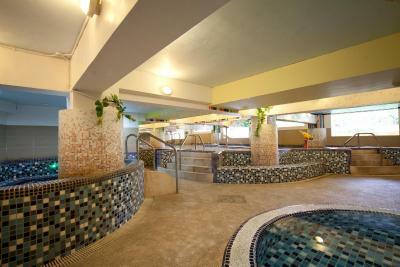 Guests also have access to the public hot tub and karaoke facilities. 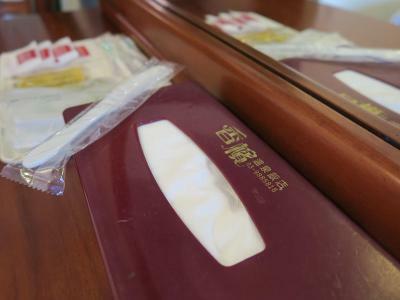 Housing a restaurant, guests can sample a selection of tasty Chinese dishes on site. 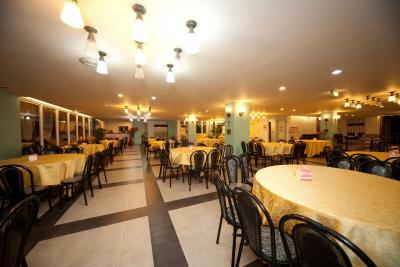 Alternatively, a variety of dining options are available within a 5-minute walk away. 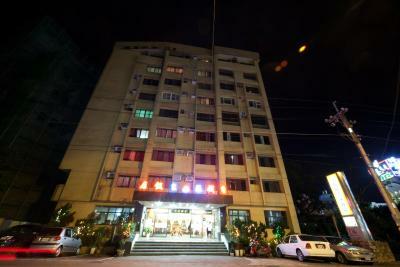 Champagne Hotel is just a 3-minute walk to Tangwei Brook Park. The National Center for Traditional Arts is within a 30-minute drive away. 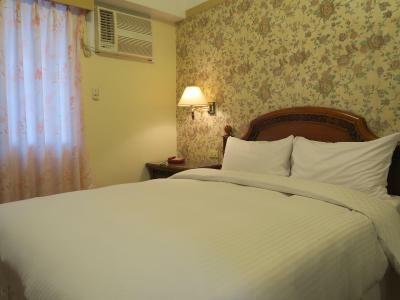 When would you like to stay at Champagne Hotel? 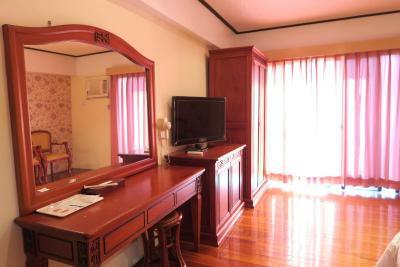 Fitted with wooden flooring, air-conditioned rooms come with a wardrobe, a TV and seating area. 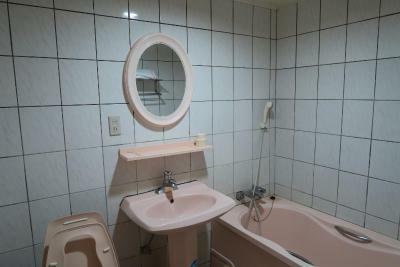 Rooms have an private bathroom that includes bathtub. 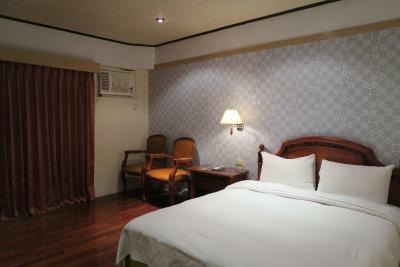 Fitted with wooden flooring, spacious air-conditioned rooms come with a wardrobe, a TV and seating area. Rooms have an private bathroom that includes bathtub. 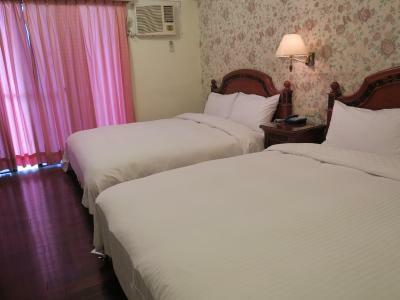 Rooms come with 2 double beds. This quadruple room has a hot tub, electric kettle and air conditioning. House Rules Champagne Hotel takes special requests – add in the next step! Champagne Hotel accepts these cards and reserves the right to temporarily hold an amount prior to arrival. 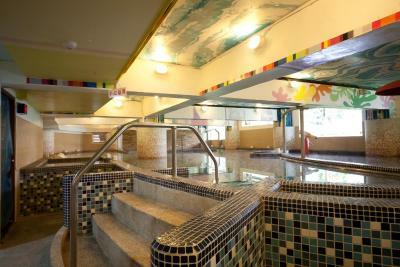 The free public hot spring is open from 17:00-22:30 daily. Although it didn't affect our stay, the decor is quite dated and maybe the place could do with a lick of paint. Also, although the Spa in the basement was a wonderful surprise, some of the jets were not working and it does show signs of age. The bathroom is not clean. The only two problems were that the wifi didn't work at all in the 5th. 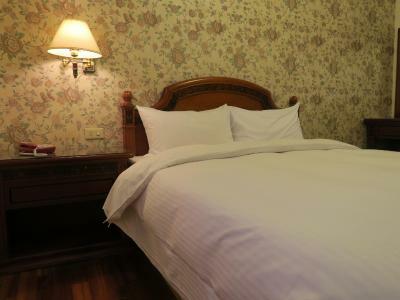 floor and the mattress was very hard (Taiwanese style), the first day was difficult to sleep. My friends said the bed was too hard for him and he had problems with his back after one night. For me, the bed was okay. Short operating hour of the public indoor hot spring. Only opens at 5pm and ends at 10.30pm. We reached around 9.30pm so only managed to enjoy the hot spring for a while. The restaurant was closed during my stay. Didn't manage to taste the food there. Old fashion door. Need to manual lock before leaving room. Cleaner didn't lock after each cleaning. Nothing really - not the most modern hotel in town but your not paying that kind of money.